I’ve always been very adult-like. I had different interests than other kids. I did well in school but wasn’t athletic or into sports, and that’s what people talked about. Once I started middle school, the bullying got worse. I wasn’t out as gay in middle school, even to myself, but people suspected. But even if I wasn’t gay, it would have been something else. They’ll find anything. The teachers didn’t do anything to help, so my parents got involved. In seventh grade, the bullying got so bad. I was so depressed. I planned to kill myself. I told my parents, and I was admitted to a hospital for a couple of weeks. That was really scary. I was home-schooled for the rest of the year. It was kind of difficult, but better than being at the school. So I transferred to the Hudson School, a small private school with 25 kids in each grade. It’s been a great fit. I haven’t had any problems and everyone is so supportive. I’m president of the Gay-Straight Alliance. For Ally Week we had almost the whole student body participate. It was pretty cool to see. LGBT activism is an important part of my life now. I’m involved with Garden State Equality. Last year, right after Tyler Clementi committed suicide at Rutgers, an anti-bullying bill was introduced to the legislature. 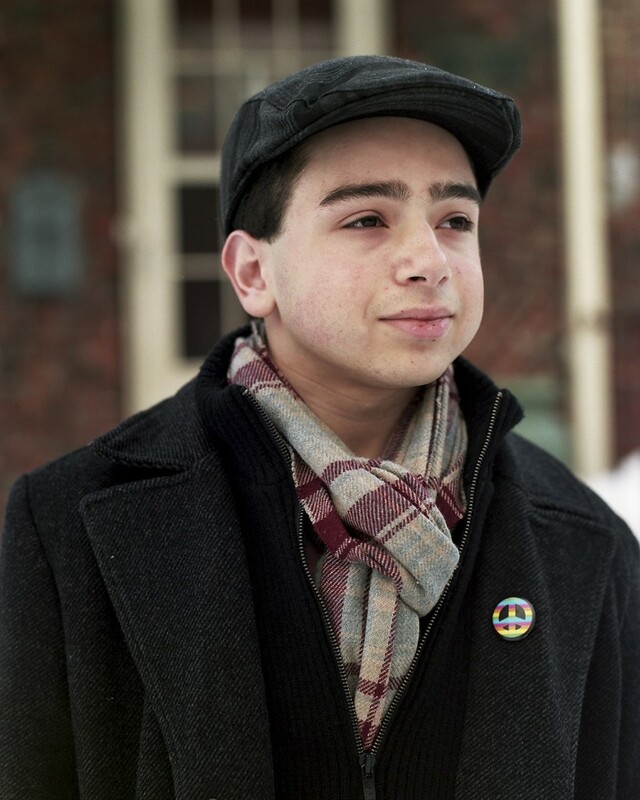 Bullied students testified for the New Jersey State Legislature and shared their experiences. Garden State Equality asked me to testify before the Legislature about my experiences. The bill passed the State Legislature and Governor Christie signed it. I have the strength to tell my story and be an activist because I know that I’m fighting to make the lives of other people better. I don’t want anyone to have to go through anything remotely as bad as I went through. Garden State Equality announced that I will be a recipient of the Lt. Laurel Hester Prize for Citizen Courage at this year’s Legends Dinner. I’m very proud and happy that I’m able to have such an impact on people’s lives. But I’m a pretty modest guy. Now that a lot of middle schoolers at my school are aware of what I’m doing, some kids in the younger grades feel comfortable coming to me when they’re being teased or anything. I listen and try to help them out as best as I can. I talk to teachers and administrators on their behalf. It’s a bit of responsibility, but I really enjoy helping people. I really want to start seeing a shift in culture away from bullying. I know that won’t happen overnight, but I think we need to educate children from a young age that you can be whoever you want to be, and to accept people for who they are.